This is the bet the American-Irish collector Brian P Burns said he made with himself before he went on to amass one of the largest collections of art from the Emerald Isle. It took over 40 years to build, incorporating the work of artists spanning from the 18th century to the present day and at its peak reached nearly 200 pictures. On November 21, Sotheby’s London will offer 100 works from the collection, guided at £3m-4.5m and billed by the auction house as “constituting one of the greatest collections of Irish art in private hands”. Burns and his wife Eileen were regular visitors to the galleries on Molesworth Street in Dublin, receiving advice at the outset from Desmond Fitzgerald, the 29th Knight of Glin, Desmond Guinness and other art experts and advisers in Ireland. Burns also founded a library at Boston College, which today has arguably the most significant holding of Irish cultural material in the US, including the largest collection of WB Yeats papers outside Ireland. 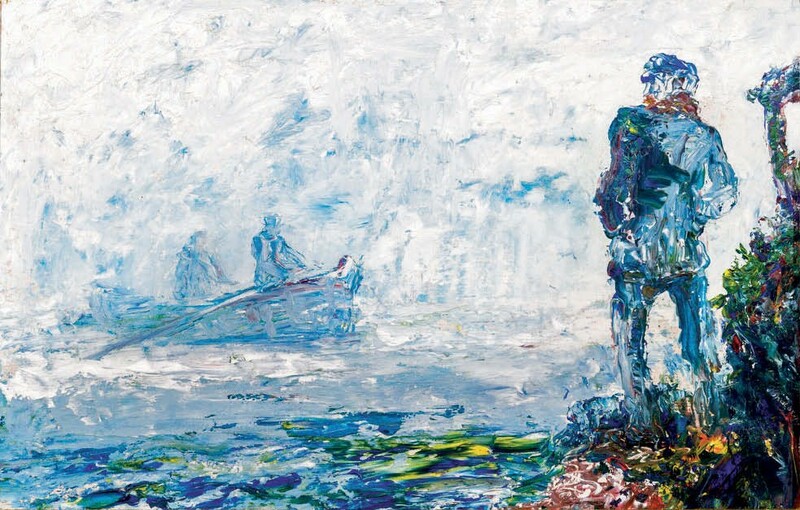 As one might expect, the poet’s brother, Irish great Jack B Yeats (1871-1957), features prominently in the collection with five oil paintings, four watercolours, an illustrated letter and a pencil sketch. The star entry is 1942 oil on panel A Misty Morning, showing a figure looking over the sea as a boat emerges from the fog. It is guided at £150,000-250,000. Among the earlier works is an oil by 19th-century Irish genre painter James Brenan (1837-1907). A promoter of causes – including the country’s art education and encouraging the lace industry to bring employment to impoverished areas – his work often focused on social and economic issues. 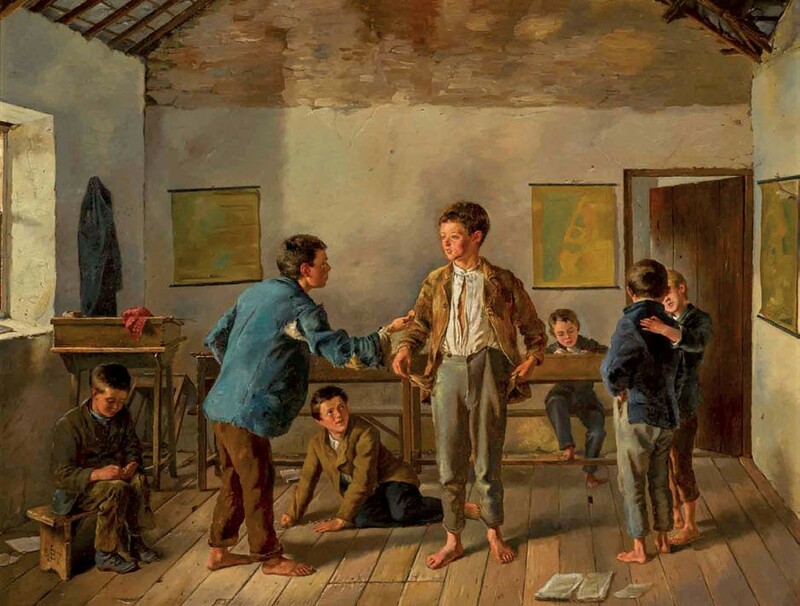 The School Room (Empty Pockets), an oil on canvas from 1887 guided at £40,000-60,000, is a critical reflection on state education where little in the form of learning is taking place.